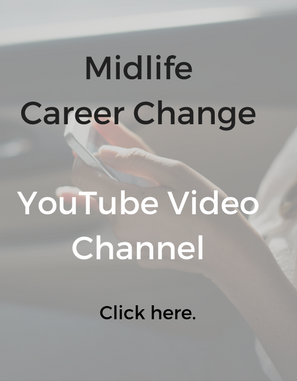 Recently I was talking to “Marcia,” someone who fits the 3M profile: mid-life, mid-career and motivated to move. Marcia wasn’t sure of what steps to take. She wanted to move fast. Well, forty year ago, when the Parachute book was first published, this approach was hailed as new, revolutionary and fool-proof. No research had been conducted. Richard Bolles drew on his experience, which made sense back then. Today’s career consultants can draw on published research about career change. They know that the parachute metaphor refers to making a smooth landing after you’ve been a passenger. Today you don’t look fora parachute. You might have several landings in a lifetime or even a few years. 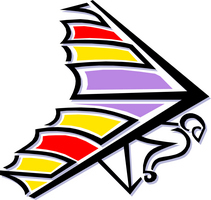 Rather than think of yourself as a passenger in someone else’s plane, think of hang gliding. You are active, not passive. And you’re going to do this again and again. We know today that most career change involves an element of serendipity. The shortest distance between you and your next career probably will not be a straight line. Job titles, for instance, are extremely misleading. Talk to five companies with “systems analyst” jobs and you could find five different job descriptions. Your strengths can be hard to pin down. It’s important to identify your skills but even more important to recognize the culture and unwritten rules of potential new careers and new employers. Forget those navel-gazing “what do you love” exercises (and don’t even ask me about tests). Focus instead on telling your career story. Yet Harry demonstrated motivation, attitude and people skills. He presented his background to show that he had met the requirements in a different environment. And he came across as a super-nice guy, which he is. By the time the interviews were over, everybody was rooting for Harry to get the job. Resumes have become more fluid. You will need to post your profile on social media – and you can change your profile easily if you don’t get responses you need. You don’t need to wait till you’ve identified your ideal job to put the finishing touches on your resume. While working on your resume, you will become more aware of your strengths. If you’re partnering with a friend or consultant, don’t be surprised if you get suggestions about new directions for your career. Information is key to your career change. What information will you need? How will you get it? How will you modify your plan based on this information? 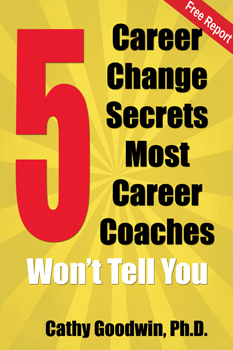 Career coaching shouldn’t provide you with cookie cutter solutions. What you need is a plan that is unique to you. Most important, remember that career change is messy. Career achievement often will be linear. In fact, corporate careers often resemble NFL football: you get rewarded for being in the right place and the right time and doing your officially assigned job. Career change is more like playground basketball: you get rewarded for figuring out the unwritten rules and being open to whatever opportunities are presented.